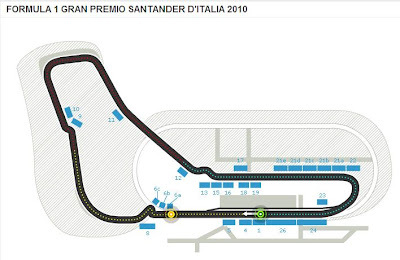 Regardless of which side of the "team orders" row you find yourself, don't let it spoil this weekend's action in Italy. Monza is regarded by many as the embodiment of Formula One racing. Not only is it a fantastic example of a track that combines speed with skill, it also has a heart and soul all of its own. It has seen some of the finest races of all time, but also some of the sport's worst accidents. The names of great drivers and the sounds of engines from years gone by linger in the grand old trees surrounding the track in the royal park. Work began on the circuit in 1922 and was completed in under six months. After Brooklands and Indianapolis, it was the third permanent race track in existence. With a banked oval incorporated into the design of the road racing circuit, the total track length stood at a whopping 10 kilometres. The list of famous victories and horrifying accidents is long, and all combine to make Monza one of the most magical places on the Formula One calendar. For many there is nowhere that encapsulates the sport better than this circuit. The Italians call it 'La Pista Magica', the magic track, a description few would disagree with. ...and to feed your inner geek some afters, check out what you would look like pulling a few g's on the track. The Band Known as !!! Do you like your Yuanyang hot or cold? Peggy Sue Live This Weekend!